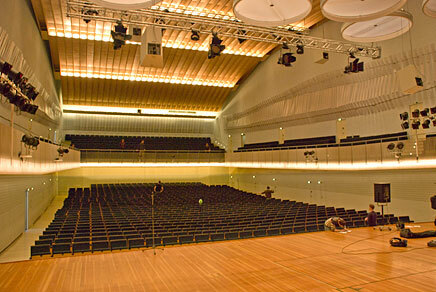 The hall at Hardenbergstrasse has been the home of the Berliner Philharmoniker (under Von Karajan) in the 1960's. 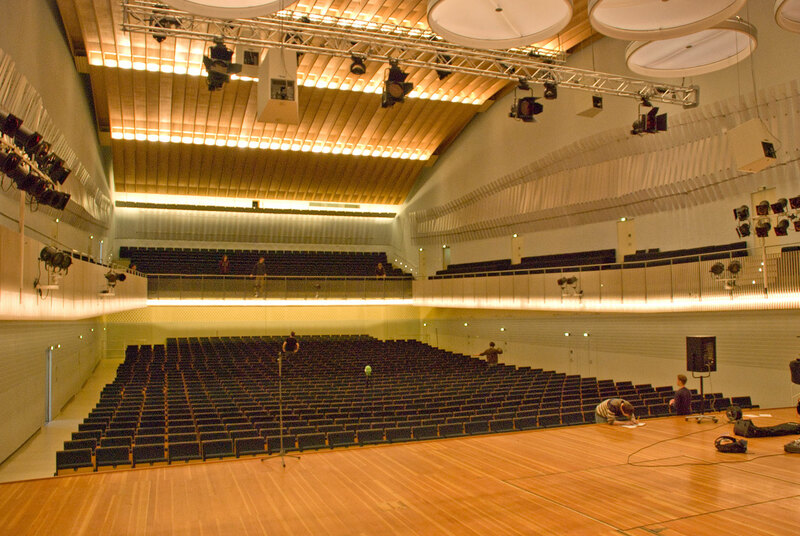 Now home of the symphonic Orchestra of the Universitaet Der Kuenste of Berlin, this futuristic looking hall is a fine example of 1950's architecture in Berlin. The room is rather dry and clear sounding. The impulse responses were made in March 2014, using DPA 4006 Microphones and a Genelec 1037 speaker.